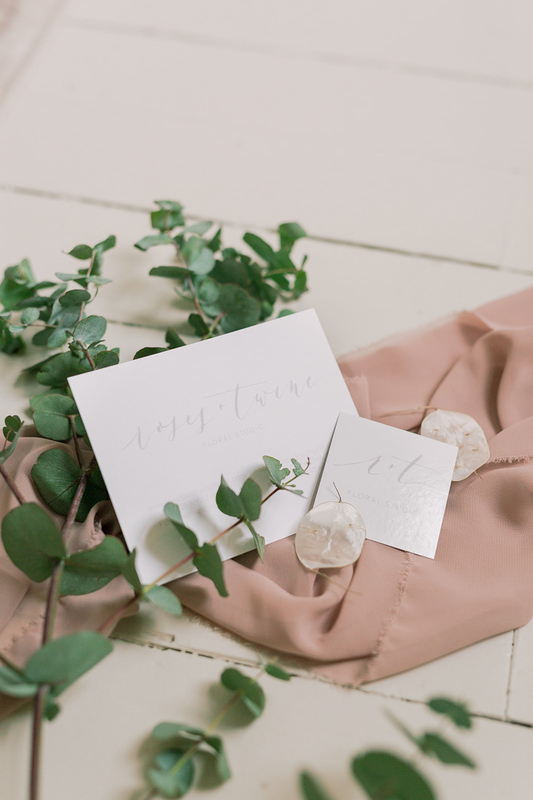 Today we are getting to know long time Swish List member Myrica, of Roses + Twine Floral Studio! A short description of what you do: We are a full service event florist, based in St. Catharines. Weddings are our main business, but we also host several seasonal workshops, supply florals and decor for corporate events, and take occasional specialty orders. How long have you been working in the wedding industry? About 6 years as roses + twine floral studio. What makes your business unique? I like to think that the way we deal with clients is what sets us apart. When we initially meet with couples our goal is to actually listen to them...I want to hear what they envision for their day. Those conversations are what sticks with us when we are in the studio getting down to making arrangements. Being honest, open, and flexible to the client’s needs is what we take gratification in. Favourite part of your business? The final set up; seeing everything you have talked about with a client for months and then having it pull together beautifully at the end of a long day. Wedding days begin early for us, and we are the ones that tend to get to see clients throughout the day....not every wedding vendor has that opportunity. Once the flowers arrive, its like everything looks in place or comes together beautifully and cohesively. It’s at that moment any stress you may have had throughout the day has been lifted, and you can relax knowing you have done a perfect job to make sure someone’s big day is exactly as they envisioned. What inspires you? Personally, I find inspiration every day, I think that comes from my artistic side. But the biggest inspiration for me is nature. Whether I am here at home in Niagara, or travelling somewhere new in our down time, it’s seeing flowers and greenery in their natural habitats that inspire my designs and colour palettes. Who is your mentor/hero in the industry? (your own industry or the Niagara wedding industry) Oh there are so many, and I think we can thank social media for that! 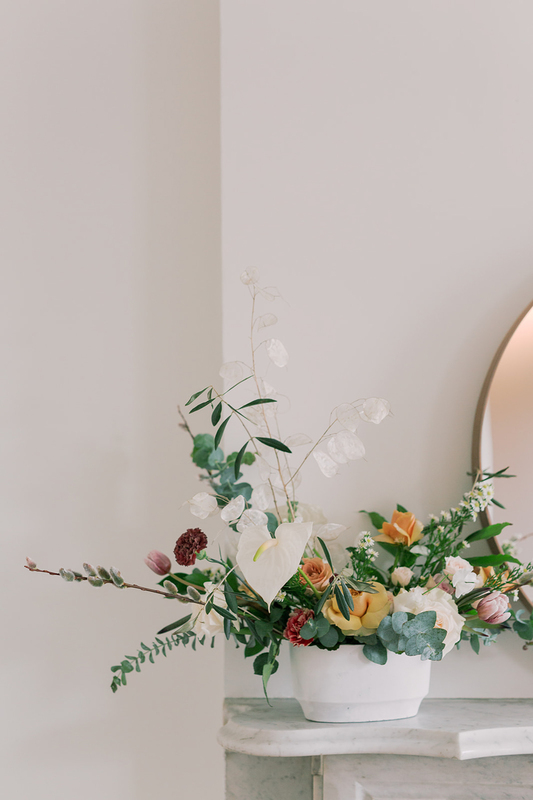 We are able to connect and be inspired so easily by so many designers and other florists around Niagara and around the world. Some of my personal favourites include Amy Osaba based out of the US for her designs and palettes, Blush in New Zealand for their installations and amazing marketing, and then House of Lilac in Miami -- they have the most hilarious Instastories that I feel replicates us in our own studio while being these down-to-earth boss ladies. On your day off...where would we find you? Having a slow morning drinking coffee, planning time to see friends or family, doing my best to make it to a yoga class, and if the weather is nice, definitely outside. If you weren't a wedding vendor, what would be your dream job? I laugh about it now, but growing up I wanted to work for IKEA creating and designing the model rooms they have in stores.. Today, I still would love to do anything that involves creating cozy and functional interior or exterior spaces. What great wedding trends are you seeing this year? Still lots of greenery and natural looks (which is a perfect compliment to having a Niagara wedding!! ), but also clients not being scared to bring colour into florals. Before we saw almost all white and soft pastels, but now it seems like we are moving towards a more bolder look. I don't think Niagara will ever outgrow the natural look just because of the region itself, but I love how we are moving into more moody or different palettes than what we saw last summer or even in past years. Do you have any practical advice for couples planning a wedding? Well, when it comes to florals specifically, we tell clients to pick out about 5-7 images that you love or keep coming back to before meeting. 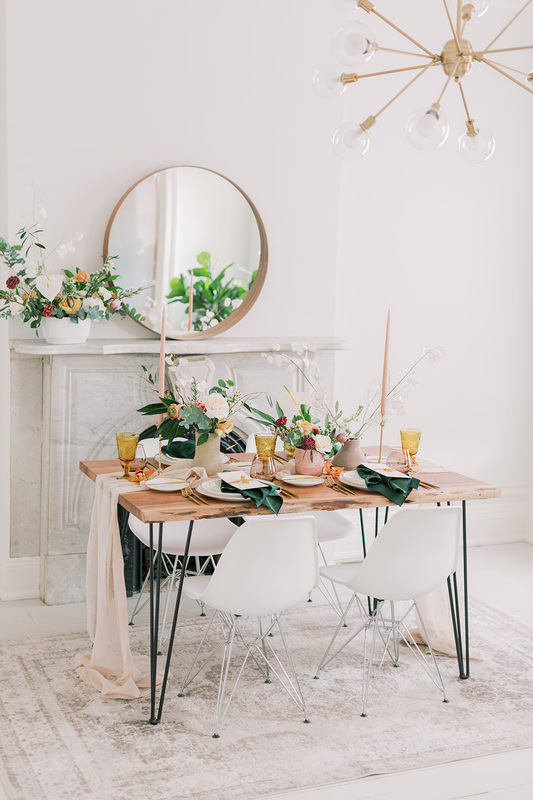 Seeing your entire Pinterest board is overwhelming for you and for us — our job is to listen to you, hear about what type of wedding or style you are envisioning and make the florals match that. Have an idea of what you are looking for, but also be open to suggestions. Don't forget your florist has most likely done hundreds of weddings before, and will know what works and what doesn't. The First Look | 2019 Venue Announcement!